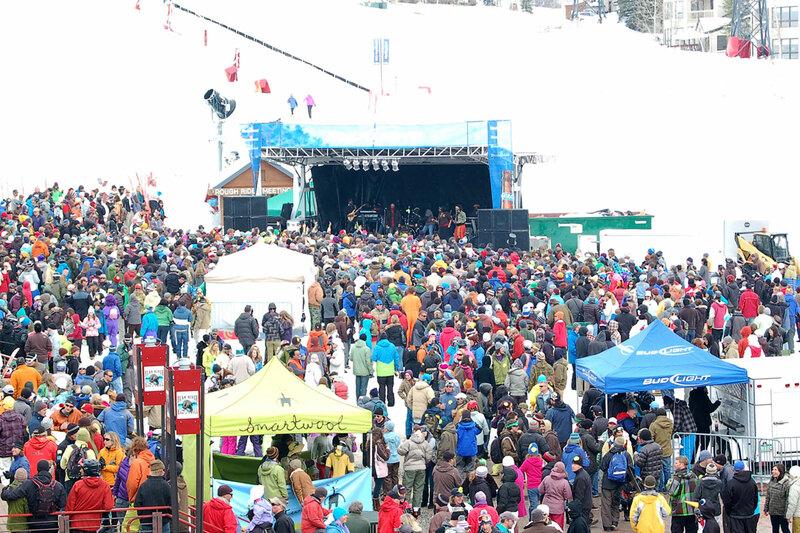 The Splashdown Pond Skimming Championships hits Steamboat once again on Closing Day - Sunday, April 14th! Wrapping up another epic season at Steamboat, this event has antics like you wouldn't believe. 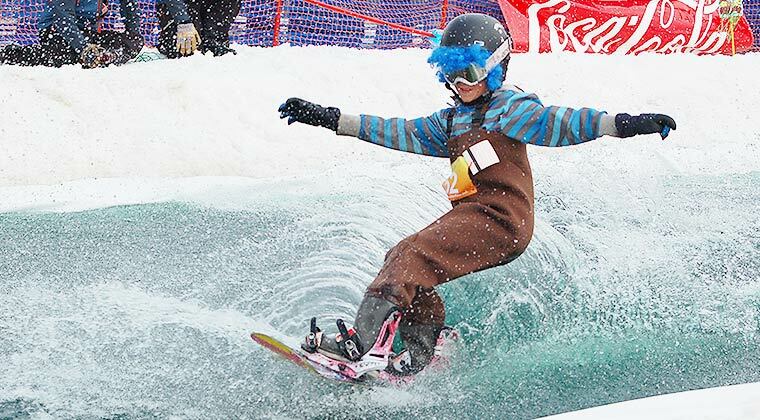 The Splashdown Pond Skimming Championships brings brave (and slightly crazy) skiers and riders in costume with a dream - of crossing the icy pond successfully - and, if they're lucky, with style! This one division event has skiers and riders, men and women, children and the elderly all competing head to head to be crowned the 2019 Splashdown Pond Skimming Champion. Skimmers will be judged on the following criteria: costume, distance, style, crowd response, and air!